Does Inspiration Make Heroism Subjective? Today I’m moving on to another question about inspiration as heroism. Inspiring others to strive to be better people is, on some level, heroic. But inspiration is a personal matter—different people are inspired by different things. So does that make heroism subjective? I don’t think it does. There’s no doubt that it introduces a subjective element to the discussion of heroism. For example, I’m inspired mostly by great artists, while I have friends who are inspired mostly by great athletes. But just because our definition offers us a platter of different heroism flavors to choose from doesn’t mean it’s completely in the eye of the beholder. That’s because, first of all, the basic mechanism of what’s happening is the same no matter who inspires you. A person achieves something or comports themselves in a way that goes above and beyond what you’re used to; you feel a sort of awe by their example; you wonder to yourself how you could live up to it, if you yourself are capable of achieving the sort of thing they did. And you then take motivation from their example and challenge yourself to grow or improve in some way. The fact that this process can start with different kinds of exemplars isn’t surprising, any more than the fact that PTSD can start with different kinds of trauma. “Trauma” is very subjective: two patients may have developed PTSD from vastly different experiences. That doesn’t stop us from understanding that it’s the same condition, that their brains are reacting to protect them in the same way. It doesn’t make the definition of PTSD “subjective.” Neither is heroism. But it is true that each individual gets to decide for themselves who and what inspires them. That means that we can’t just decide who’s a hero and who isn’t (this is a good thing). Instead we have to allow that people can have “heroes” of their own and that it isn’t our place to tell them they’re right or wrong. But accepting this definition does require us to open the door a bit. It means that you can call someone a hero even if I don’t find them particularly impressive; even if I find them droll. This is a very uncomfortable position for many people. Often, we want a straight yardstick so we can glance once and say: “Nope, that’s not heroic.” Instead, I’m saying we all have the same mental wiring about heroism but some of us will have very different heroes than others. I think this position is a good one even though it’s not easy for everyone—because it allows us to understand why people see heroism so differently. We’re all busy focusing on the particular examples who inspire us, whether that’s artists or philosophers or people who save hundreds of lives. Instead we can focus on the unifying force that underlies all of our hero choices. In other words, inspiration as heroism doesn’t mean that one person’s villain is another person’s hero. But it does mean that one person’s hero can be another person’s meh. → Can Two Different Theories of Heroism Work Together? 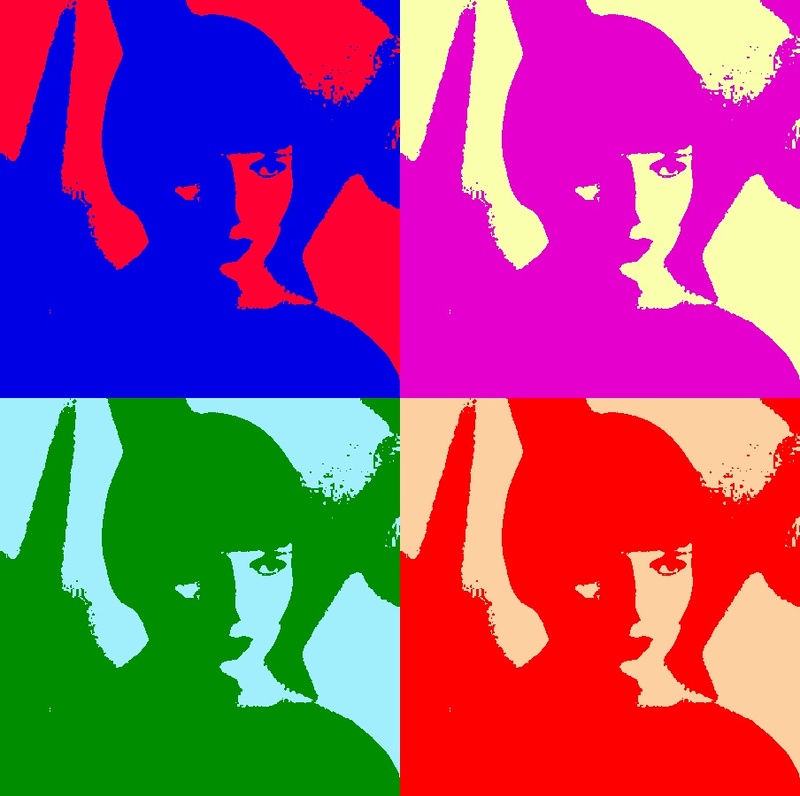 Say, is that an image of Louise Brooks? I think that if we open up the doors to subjectivity and personal heroes, one person’s villain can certainly be another person’s hero. A very extreme example that comes to mind is Vlad the Impaler – historical discussions aside, I have heard that he was a villain to those outside his kingdom (those who might invade, or standers-by who witnessed his brutality) but that he was a hero within his kingdom because he was finally able to protect his people by defeating and turning back what had been long term invaders – which he was able to do *because* he was so brutal: They didn’t want to attack again. I am not a historian and I don’t know the details or even how true this is – but this version of the story is a good example of the type of thing that would cause someone to be a valid hero to some (those they are protecting) and a villain to others (those on the opposite side). Surely there can be less extreme examples where this is the case. Meanwhile, despite the subjectivity introduced, for some heroes there will be no dispute. There are personal heroes – artists, athletes, etc – but there can also be national, cultural, or even global heroes (Gandhi, MLK Jr, Achilles, etc). This could be a good indication of “levels.” Someone who is a great source of inspiration to only one person would be a lower level hero than someone who is a national source of inspiration. You would expect the lower levels to be more subjective, more shades-of-gray, than the upper levels. I don’t buy the “one man’s Impaler is another man’s hero” example. I’m going to set aside the question of historical accuracy though that’s a huge one–just like Mussolini actually failed to make Italy’s trains run on time, I find it really questionable whether Vlad managed to stop crime and scare off his enemies. But let’s say Vlad’s story is true and he TOTALLY saved his kingdom from invaders (and domestic crime!). The fact is he committed atrocities to do so. He routinely punished the innocent as examples and tortured people. These actions are never justifiable. And that means they are never heroic. Of course, someone might call Vlad the Impaler a hero. But we must tell that person they are wrong. And we must tell everyone else that person is wrong, too. Because it’s very, very important not to allow people to take atrocities and dress them up in the cloak of heroism. Even when it’s a vampire cloak. Sometimes it helps to think of the root of the word ‘inspiration’. From Latin, ‘inspirare’, a breath, we are given the idea that inspiration has to do with that extra breath we receive from someone when we need it the most. All acts of heroism are acts of breathing in an unusual way, breathing ‘into’ things. Perhaps this is why, in the face of heroism, our first reaction is one of losing our breath, which is precisely what enables us to appreciate it more when we get it back – as it is mediated by the other. I think heroism begins with remembering how to kiss, remembering the first kiss. Yes I do love that word and its etymology. I believe the original concept was that an idea was “breathed into” an artist, musician, etc. and thus came their great work. Under the same concept, then, we could say that our heroes “breathe into us” the pursuit of greatness. I think heroism begins with remembering how to kiss, remembering the first kiss. I’d love to know what this means. So, being a fan of not having ambiguity in definitions that leads to misinterpretations and thus missteps, I would suggest wringing out a more explicit definition. I’m remain all in favor of keeping the different interpretations of personal heroes, but I think you can keep that but narrow it down around the edges. It looks as if the key components are 1) Must inspire, 2) that inspiration must result in action, and 3) that action must cause positive change. In short, a Hero is a person who instills “Inspiration Causing Positive Acts of Change” be it in yourself or outward toward others. That being the short definition. This, I think, should be accompanied by a long definition that defines what each component means in full – which looks to be where the bulk of the push back is from. That way there would be no ambiguity in interpreting its meaning. That sounds about right. That’s a really good breakdown of what I’m saying. Thank you, Rua.